This is a great resource for secondary English teachers. 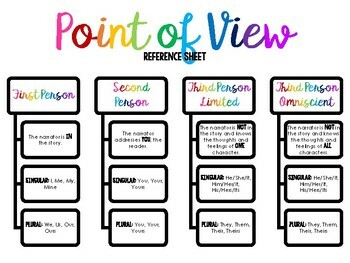 You can post it in your room, make it available on your website, or hand it out to your students for year-round reference. Please contact me directly for editable and/or portrait versions of the document at marinahparkinson@gmail.com. Note: This document includes fonts from Kimberly Geswein Fonts. You will not be able to utilize the fonts included on the editable PowerPoint files unless you have downloaded and installed the fonts used. I do NOT own these fonts and cannot profit off of their use.